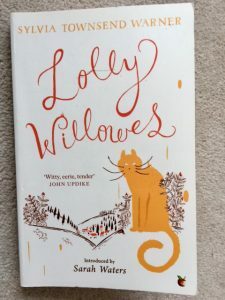 This entry was posted in English Literature and tagged Lolly Willowes, Sylvia Townsend Warner, Virago Modern Classics by Simon Lavery. Bookmark the permalink. I loved this book so much. It is still so relevant as you say a feminist call to arms. Great review. I think you’d enjoy it, Jacqui. It has its quirks, but it is well written & passionate. Some wonderfully sensitive passages about nature & seasons. The research about 16C Scottish witch trials shines through & adds texture. It’s deeply felt but not sentimental. Lolly Willowes has almost made it into my hands so many times recently, then I’ve always picked something else to read. I’m not sure why, sometimes it’s just timing. Your review has probably propelled it from nearly close to really close! Thanks. It has been recommended by so many people, it’s probably about time I did get around to it. Just not this week!